Previously, I had a post about Jill Stuart's Pure Brightening Day Care Powder released in Japan on March 20th. This product is actually a medicated skincare powder with sun protection (SPF15 PA++), which also provides a skin brightening effect, sebum control and anti-acne effect. Reader Winnie commented that she bought the Pure Brightening Day Care Powder a couple of weeks ago. She mentioned that the powder made her nose look almost completely white when she used the enclosed powder puff to apply a small amount on her nose. She ended up not applying it to the entire face. She isn't sure if she uses the powder properly, and wonders if I have any tips on how to apply this powder without looking pale. Unfortunately, I haven't tried it, and could not offer my tips at this point. I would like to open this question to all the readers. Have you tried Jill Stuart's Pure Brightening Day Care Powder? I would like to hear your thoughts and personal experience with the product! I just read a Japanese magazine saying that you could use the Pure Brightening Powder (PBP) even at night time. I would imagine the PBP to be the same texture as the Jill Stuart pressed powder, just that the the PBP contains extra skin care benefits. My previous experience with Jill Stuart pressed powders is that the puff that came with it takes on too much powder, resulting in an overly intense bright face. You could possibly use a brush instead of the puff which I guess will help lessen the impact of the whiteness. I think the PBP is supposed to have a whitening effect on the skin too. Mine is arriving any day, I am a olive tone! So I will let you know how it goes! i just got my PBDC powder few days back..
maybe it was the lighting or my skintone (im NC 20/25), my nose did become slightly whiter but the coverage was still translucent overall.. Thank you for your comment. Do let me know your thoughts on this face powder when you get to try it out. Thank you so much for letting me know. I look forward to hearing what you think of this face powder. I am glad to know that Pure Brightening Day Care Powder provides a translucent finish to your skin tone. Thank you very much for sharing your experience and useful tips on the powder! Reader Jacqueline suggests using a light hand when applying this powder with the puff. Also, Laura recommends using a brush instead of puff to apply Pure Brightening Day Care Powder based on her experience with Jill Stuart pressed powders. I hope the information provided by other readers helps you solve the problem with Pure Brightening Day Care Powder. How does Pure Brightening Day Care Powder work for you? Does it still make you look pale and white? Feel free to let me know if there is anything I can help you with. Hi BA! I'll try with a face brush one of these days to how I like it. Here's a review of this powder that noted the same thing: http://cosmetic-candy.com/?p=5371 about looking white with the powder. Thanks again for this post! Thank you so much for giving me the link to Cosmetic Candy blog's review on Pure Brightening Day Care Powder. The packaging of the powder is absolutely pretty. It is such a shame that it makes the face look whitish instead of giving a trnaslucent and natural-looking finish. Do keep me posted! Let me know if there is anything I can help! I brushed on the powder with a brush today, and it was much, much better. I don't think I will repurchase once I finish the one I have, though. Another thing I noted was this powder has been removed from Jill Stuart's website (I checked the English and Taiwanese versions). I wonder if this means that they've stopped making the product, or was it just a simple glitch with the website? Thanks a lot for letting me know. I am glad to hear that a brush works much better for a natural-looking finish. I am not sure if you came across Autumn Masquerade's review on this powder. The review is informative. I just thought it might help give you more ideas about Pure Brightening Day Care Powder. Also, thank you so much for alerting me that this powder has been removed from the English and Taiwanese websites of Jill Stuart Beauty. 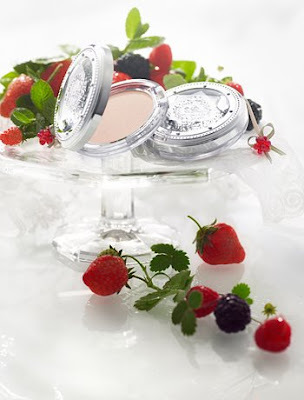 It is still featured on the Japanese and Hong Kong versions of Jill Stuart Beauty websites. I have no ideas why.....It probably was just a simple glitch with the websites. I will keep an eye on it, and will keep you posted if I have any information about it.